While this definition certainly includes your words, sentences, grammar and writing style, it also has to do with the overall look of the text. Here are some tips to make your content look good, whether it's a newsletter, blog or website. #1. 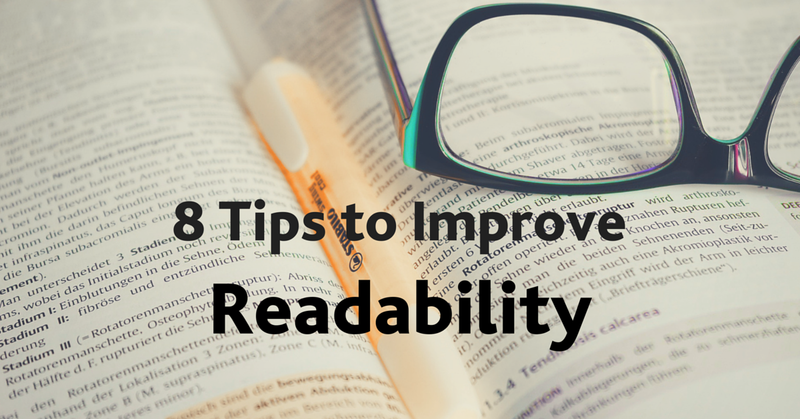 Use a slightly larger font size than you typically would when using Word, unless your content is lengthy. This ensures it will be easy to read on small screens and for those whose eyesight isn't perfect. Also consider using black or a dark colour as your font colour for the same reasons. #2. Avoid too much bold. Use bold sparingly to highlight the really important things, perhaps no more than once per paragraph. #3. Include whitespace around text and images, and between sections. Pictures look better and text is easier to read. #4. Use bulleted or numbered lists to simplify complex information. This provides clarity for your reader. #5. Use short sentences and paragraphs to break up big blocks of text. At a glance, several big blocks of text can seem overwhelming. You don't want your reader to save it for later. #6. Be consistent with your fonts, colours, spacing and images. Otherwise these items will distract your reader from your text. After all, you want them to find value in your writing, not think about all the pictures (well, unless you're a photographer). #7. Use diagrams and examples when it makes sense. If you are explaining something complex, consider adding a visual to help understanding. #8. Don't use underline except for links. It can be confusing as people expect underlined text to be a link. 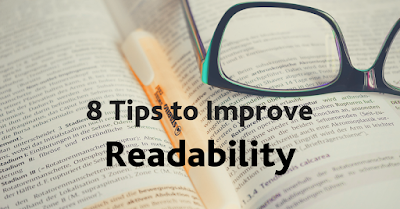 Improving your writing skill will always pay off but these are things you can do immediately to improve your readability.